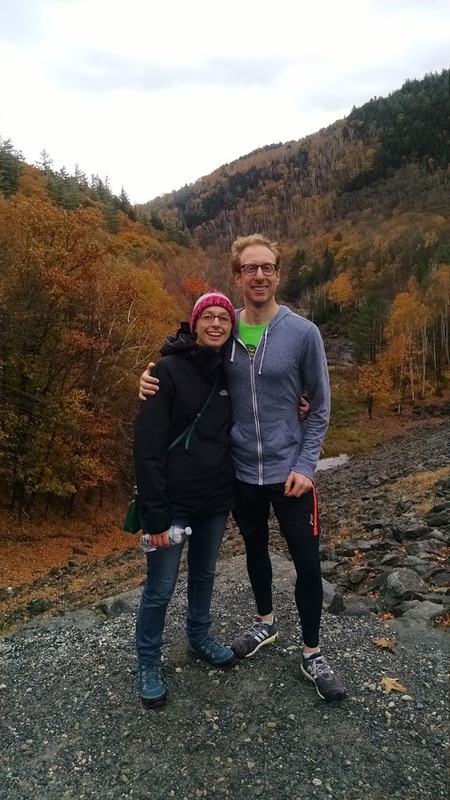 I traveled this past weekend with my girlfriend, Melissa, and her parents to their home in Wardsboro, VT, about as far south in Vermont as one can live. We had temperatures in the 50s, likely the last warm days before the snow falls and people trade in their running shoes for cross country skies. We rolled through hills covered in gorgeous maples with leaves turning orange, red, brown, and the occasional tree maintaining its green coverage, and ambled through country roads shaded by tree branches and lined by horses and cows. More importantly, we slept without the subway’s rumble under our apartment. Really beautiful, even if the sun stayed behind the clouds for most of the weekend. 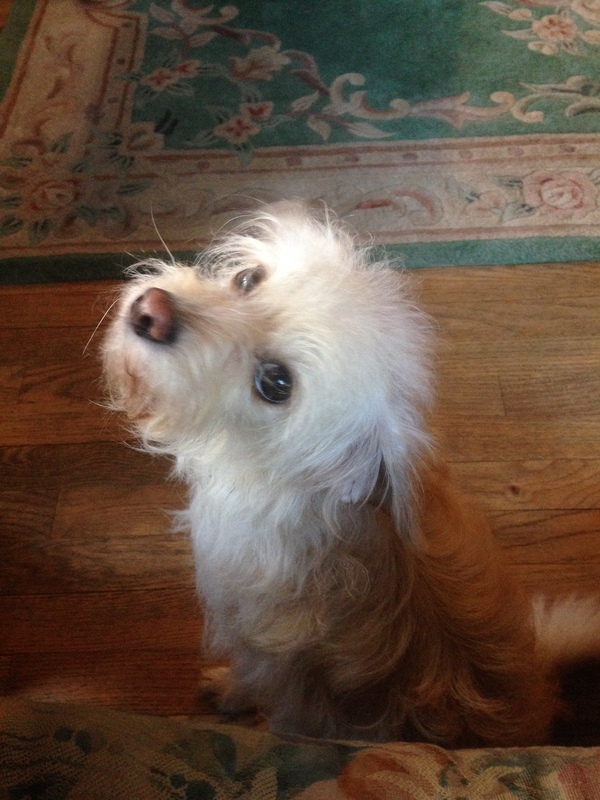 Meet Isabella, the cutest dog in all of Vermont! When I arrived on Saturday, I ran a quick 5.5 miles on Wardsboro’s main road, a quiet stretch lined by cabins on one side and a river on the other. My out route was entirely uphill, and my in route entirely downhill. Even though the occasional car rushed past, I enjoyed the solitude of the run, and the fact that I ran fast on my in trip downhill without pushing too hard. The house, however, was up a steep hill, which slowed me down a bit but reminded me of the many bridges to come during the NYC Marathon. We then attended the Gilfeather Turnip Festival, at which there were neither turnips nor turnip soup (we arrived too late). 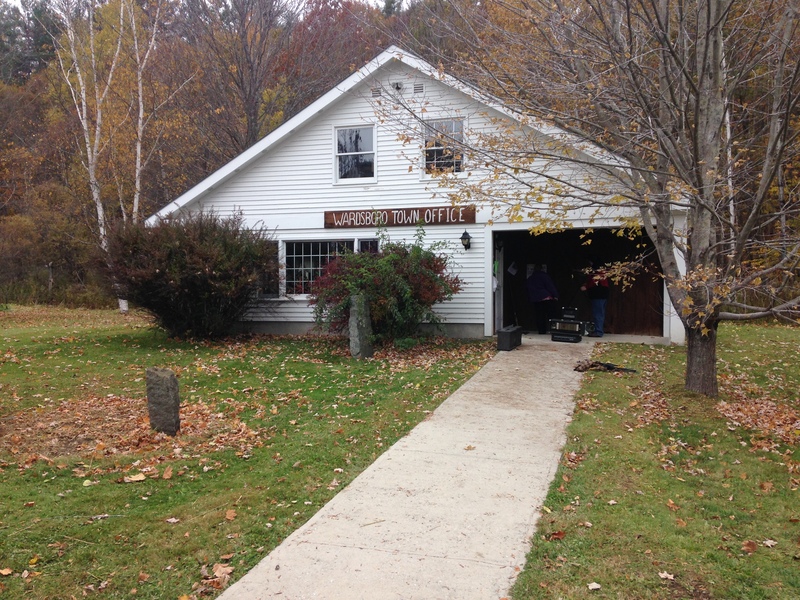 We did, however, get to sample some Vermont maple syrup candies, learn about goat cheese (unpasteurized goat cheese is a big thing in Vermont), and visit the bustling Wardsboro government office. 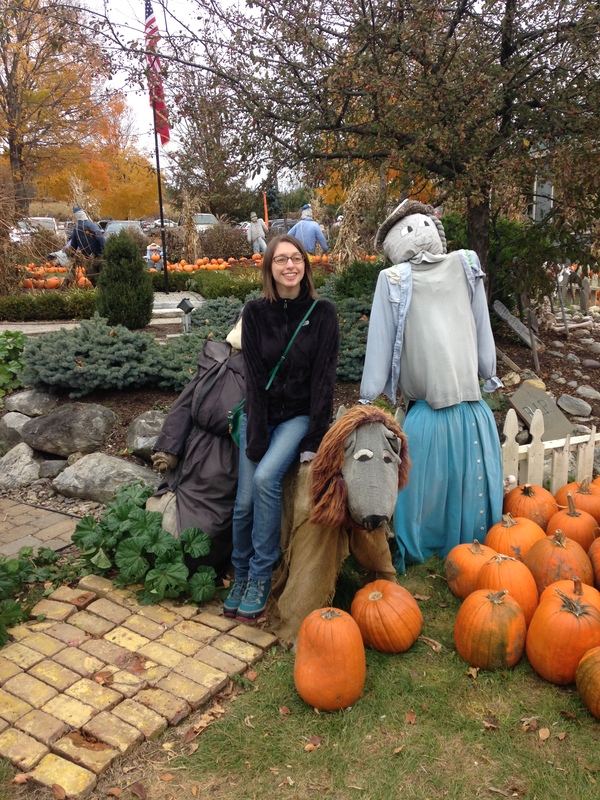 Later that day we rode to a pumpkin farm, where we ate cider doughnuts and lots of pumpkin ice cream. Can you tell which one is not a scarecrow? I sure can’t ;). 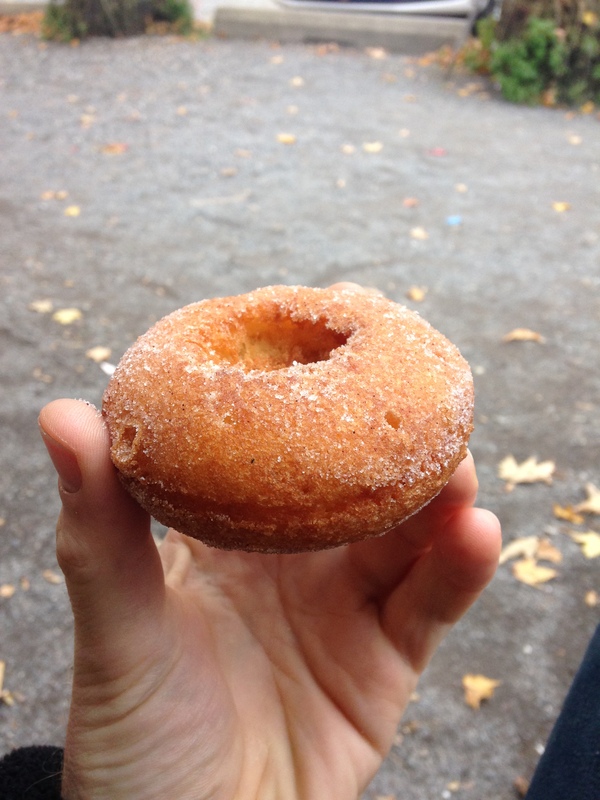 I ate three more of these after my 9-mile trail run, nailing the marathon training nutrition plan. 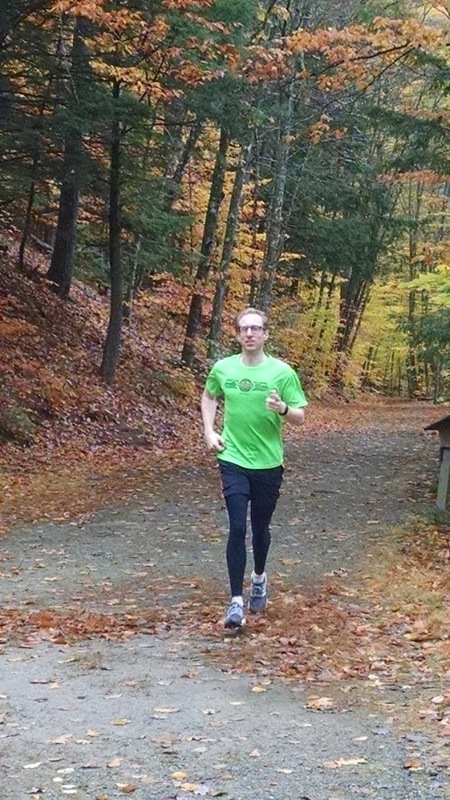 We hit the trails on Sunday, and I did a 9-mile trail run in Jamaica, VT, while Melissa and her parents hiked . The trail was only about 3 miles long, so I ran out, back to the start, out again, and then ran a short distance back to my crew. 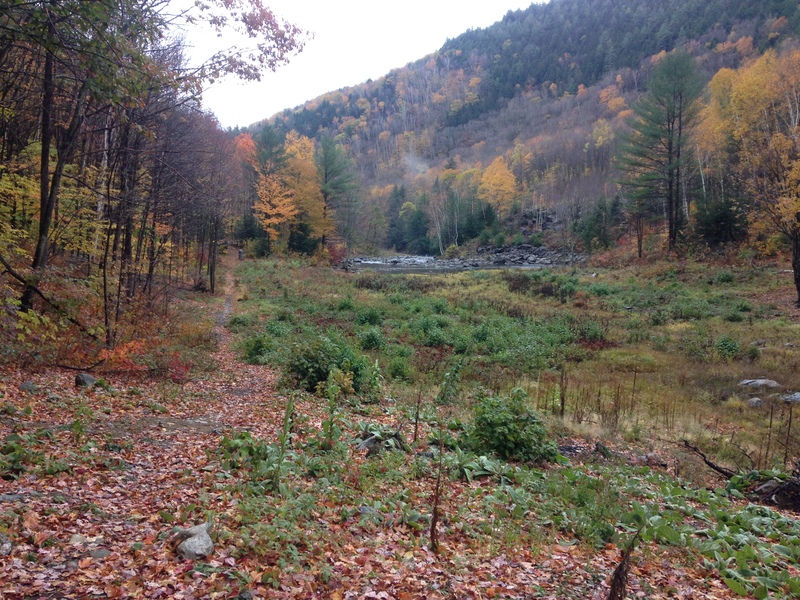 The trail was mostly flat with a few steep uphills and, like the road, was bordered on one side by a river. I tried to keep the run easy, but made it up and down the trail in about 19 minutes each time. I felt great at the end, though, and as the marathon approaches, I’m happy to get in some hard runs close to marathon pace if only to train my mind about how that pace feels. Looking super dorky on the trail. View from the end of the trail. After my run, we hiked to the end of the trail and up a dam. 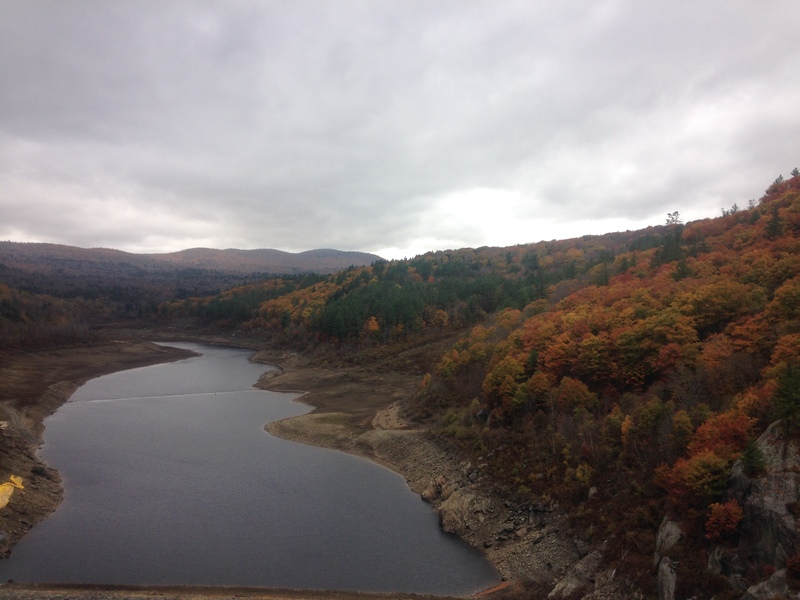 Atop the dam, we surveyed the land, enjoyed a snack, and took some pictures. The views were incredible, and I cannot wait to return in the winter and cross-country ski down the trails. Halfway up the dam trail and feeling good. View from the top of the dam. 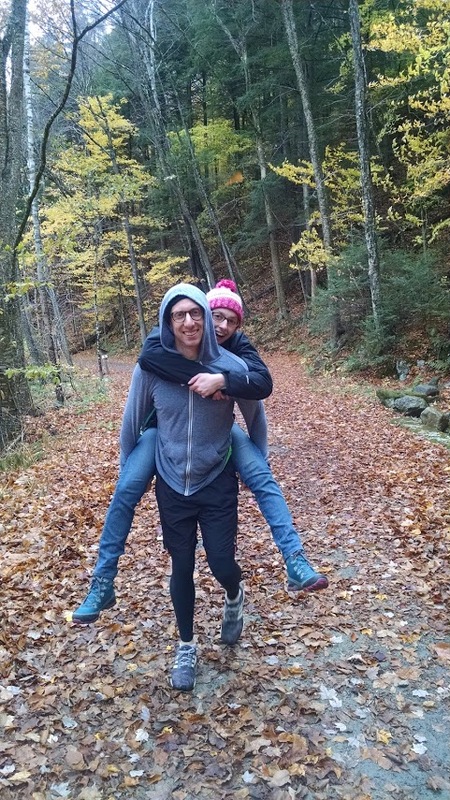 Aside from some pushups and core exercises, those runs comprised my workouts in Vermont. We spent the rest of our time attempting to go to flea markets (which were all closed due to the overcast and slightly rainy weather), eating homemade turnip soup, and watching horror movies, including “Plan 9 From Outer Space” and “An American Werewolf in London.” I left Vermont feeling exhausted but relaxed and ready to conquer another week, although disappointed that we did not see any moose. And of course, what trail hike would be complete without a trail ride? 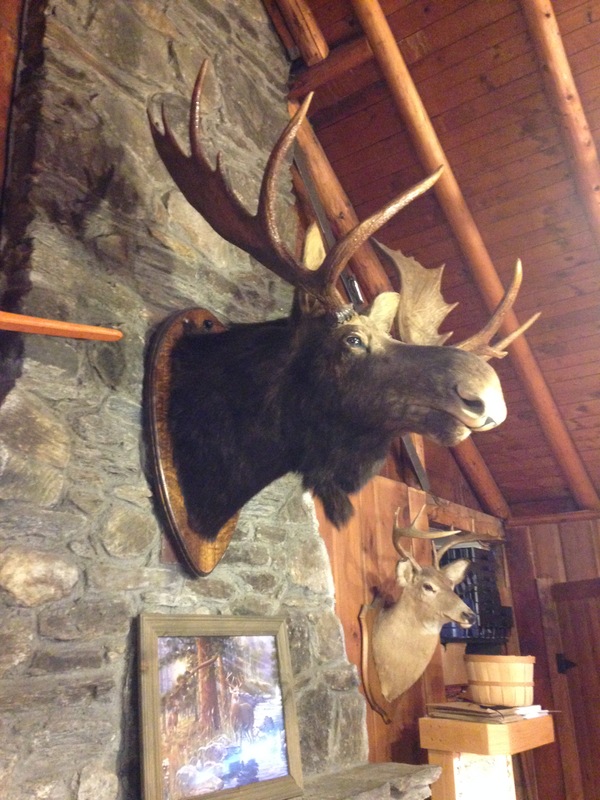 Seriously, behold the majesty of this stuffed moose! See how much larger it is than the deer in the background? Amazing. Thursday, October 29: 3-4 mile run in Central Park, with some stretching and core work at the gym. Also, Happy Birthday, Katie! Sunday, November 1: NYC Marathon, all the cheesecake, all the parties, all the sleep.